Iberico pork frenched racks (aka chuletero) are an impressive cut that can either be roasted whole or sliced into bone-in pork chops. These 11-rib racks have had their bones frenched (cleaned of surface membranes and connecting meat) for a more elegant presentation. They have also been cut in half in order to fit them into their vacuum bags, with each individually wrapped piece constituting ½ of a rack. Iberico pork racks can be roasted or cooked sous vide similarly to similar portions of conventional pork racks. 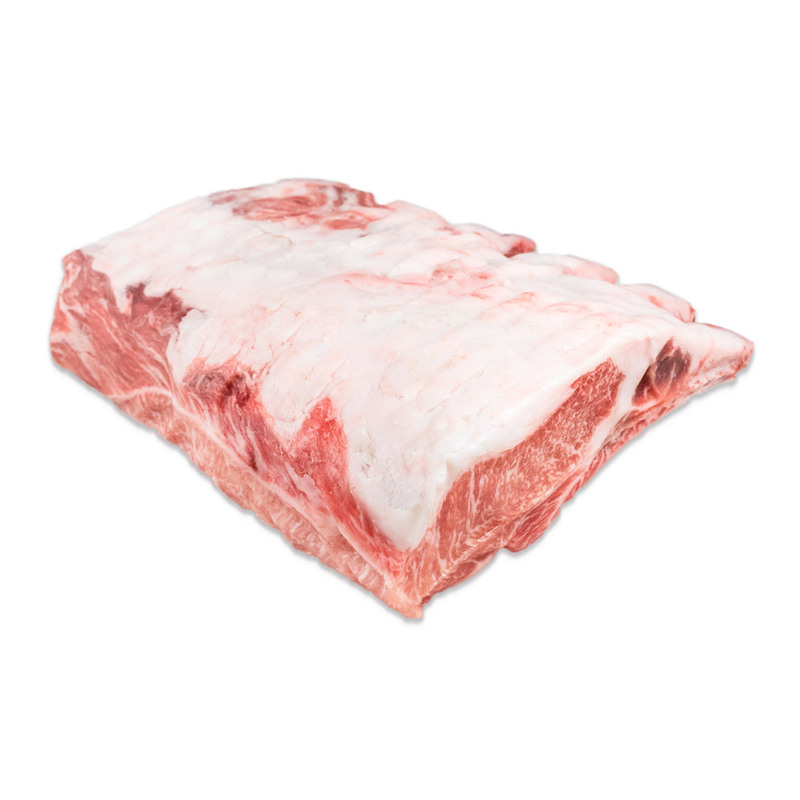 They also make delicious chops when sliced between the bones & seared, grilled, cooked sous vide, or pan roasted. 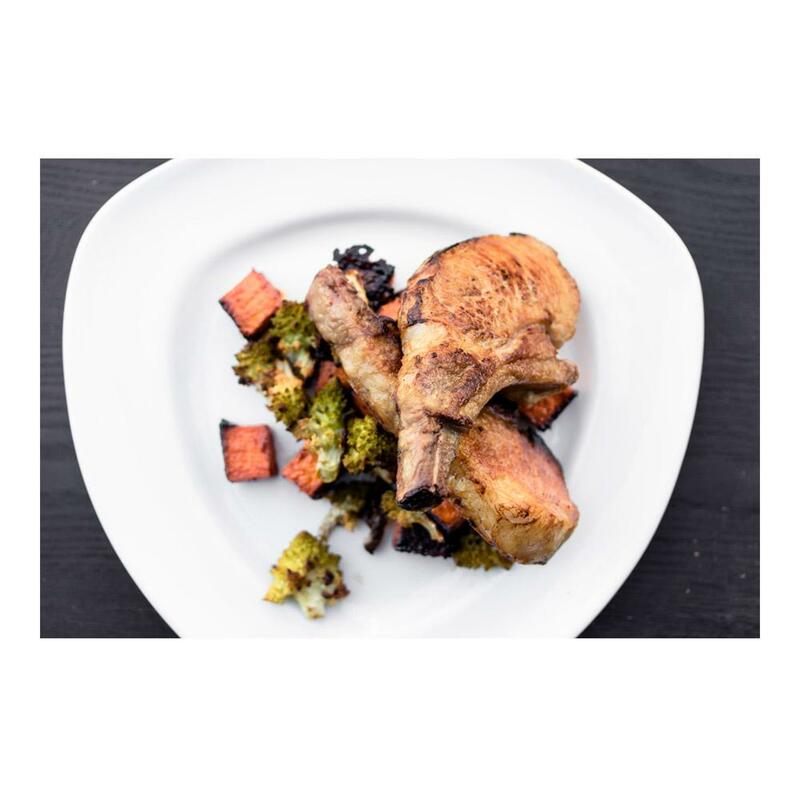 Iberico pork is often served simply seasoned with salt & pepper so the flavor of the pork shines through, however roasts & chops can also be served rubbed or sauced as you would conventional pork. The USDA recommends that all pork be cooked to an internal temperature of 145°F for safety, with a minimum three minute rest before serving (you’ll want to rest large roasts 20 minutes or longer before slicing). However, iberico is often served more rare in Spain.